One Sweet Day in May is growing! I had heard a lot about outsourcing from other business owners, but honestly thought I couldn't afford it. Hello! I'm in my first REAL year and who in their first year needs an assistant? The truth was though, I needed help. I knew One Sweet Day in May couldn't keep growing that way it was without a little help. Brides are my #1 priority and because of that many other things weren't being kept up to date. So in July after some price restructuring and drawing up a business plan, I took the leap and announced I was looking for a part time assistant. Enter, Caroline! Now, first things first, I have to credit Anna of The Richmond Wedding Collective for this one. Anna sent Caroline my way for an interview and I'm so grateful! Thank you Anna! Secondly, (and this has nothing to do with me hiring her) I just love the name Caroline. Chris and I have always had the name Stella in mind if we have a girl someday, but I secretly believe we would actually name a daughter Caroline. It's my favorite. Caroline has officially been with me for 2 weeks and so far has made my life so much easier. Between keeping the website, blog, and Pinterest updated, and me picking her creative mind, she's made my busiest month to date so much easier. Caroline will be assisting on event days with setups and bouquet deliveries as well as attending venue walk throughs and bridal appointments. Yay! She wants to gain as much experience as possible and it's a great feeling knowing that you're not just using someone to help you, but you're also teaching and guiding someone to build their own dreams. It's probably my favorite thing about this new step in my business. 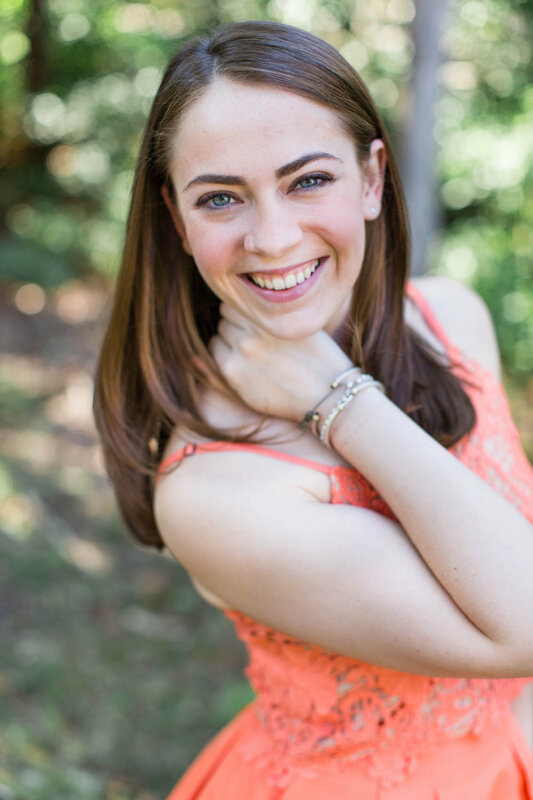 A little bit about Caroline, she is a Junior at The University of Richmond and is a super talented dancer with the UofR dance company. Hearing about her auditions and pieces she has parts in this year is so fun! Caroline has dreams of becoming a wedding planner one day and I just know she will make a wonderful one! The girl is going places! A huge thank you to my girl Natalie Jayne Photography for taking the time to snap some pretties! Happiness overload friends! You'll be seeing way more of this pretty girl and a way more relaxed Michelle! Hooray! And when you're seeing the website and other OSDIM platforms looking all fancy and up to date, that'll be Caroline doing her thing behind the scenes. Have a good one friends! I am over the moon excited to have one of Virginia's most talented invitation designers here today! 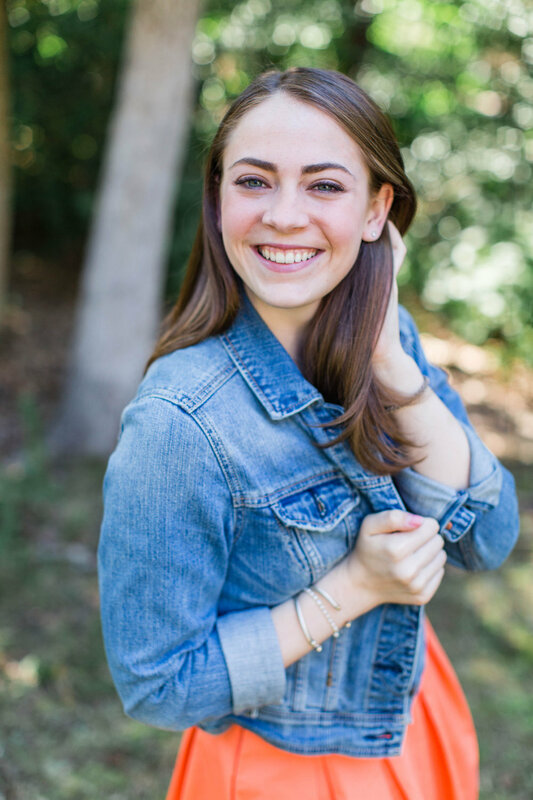 Meet Chloe Minyon from English Tea Paperie! 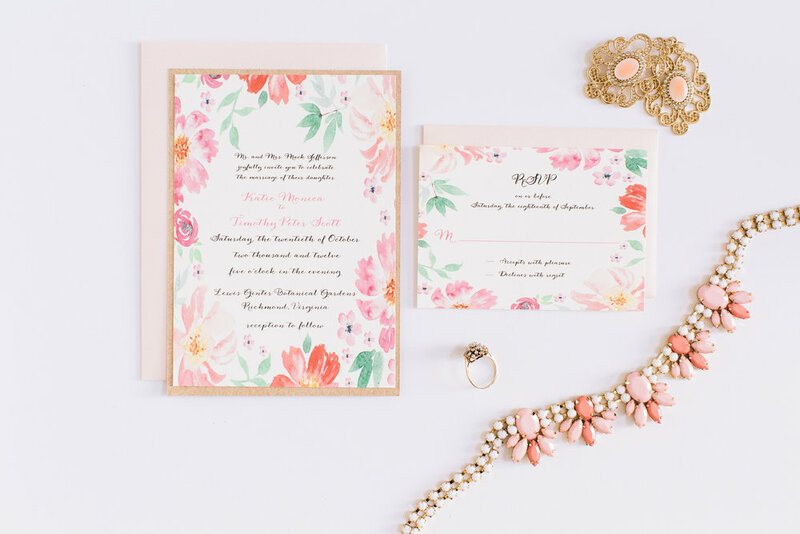 Chloe designs stationary and wedding invitations. Like really amazing, creative, anything you could ever dream of on paper kind of wedding invitations. She's incredible! 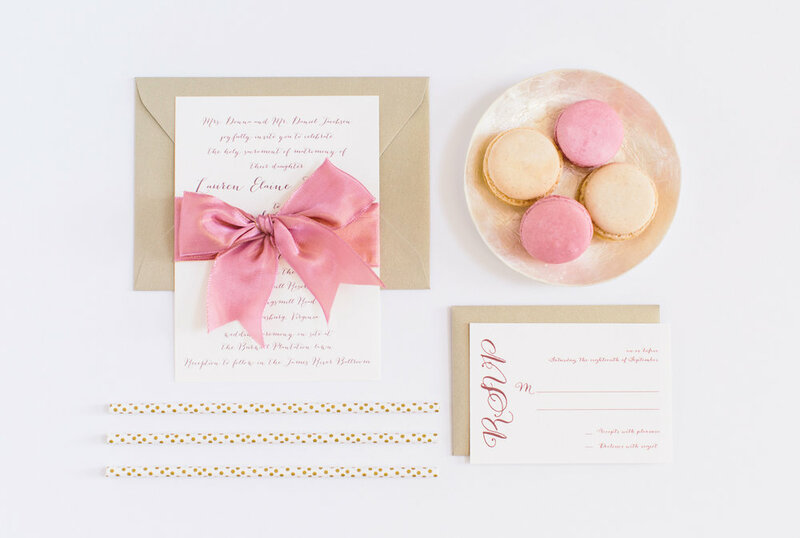 I was lucky enough to ask her some questions about her custom invitation boutique last week and her interview has made me wish I was getting married all over again! OSDIM- Tell us a little bit about what English Tea Paperie is and how it got started. English Tea Paperie designs completely custom wedding invitations and papers that tell each bride and grooms unique love story. In 2006, when I was looking for invitations for my own wedding, I couldn’t find anything I truly liked, so I created them myself. Having been an art school student, I figured what better solution! Word of mouth spread through my friends and family and before I knew it, I was creating invitations full time for couples all over the country! OSDIM- What makes English Tea Paperie different? The bride and groom get complete design control. Everything I have to offer is a la carte and there is no minimum ordering. Couples get exactly what they want with just the right quantity they need. I act as a personal paper stylist and guide the design process from beginning to end. I offer several printing processes, over 100 color options and inks, custom graphic, and illustration and watercolor design. There are thousands of options for personalization (custom dyed silk being a current favorite!). The options are endless! Gone are the days of picking a design from a big book or online store. OSDIM- Can you tell us a little bit about going through the wedding invitation process with a bride? First the bride (and sometimes the groom!) and I will meet for coffee and chat about their big day. I go over my portfolio and design options and listen to what they have in mind for their wedding papers. Once a custom order has been placed, I create a vision pdf of everything we discussed and this is the first step in the design process. I compile color boards, font pairings and hunt out the perfect accessories (ribbons, jewels etc). Sometimes it can take days, other times weeks to get to a place where the bride is completely and utterly in love with their custom creation. Once we hone in on the perfect pdf design, I pop a physical sample of the invitation in the mail and this becomes the final proof. Upon approval, the custom invitations are ready to be made! OSDIM- Any words of wisdom for current brides? Try and stay true to who you really are. When you look back in 10 years, you may regret going with “trendy”. Everything about your day should reflect you and your groom; Your story. Pinterest is your best friend when designing a wedding (I say pin until you realize you’ve pinned the same things over and over!) as this will really help define the look you are going for. OSDIM- What advice can you give stationers just starting out? Really research the materials you wish to use and find ones you absolutely love. It took me 2 years to find the perfect linen paper and even longer to find the envelopes I feel worthy of sending to guests. Ask fellow vendors for advice and find what makes you unique in the bridal market. Always be kind and follow your own heart. OSDIM- What have been some of your successes as well as some of the challenges you’ve faced? When designing custom invitations, you spend a lot of time (either face to face or via email) with your clients and they really become like friends. It’s hard to say goodbye to them once you deliver their order! I’m very happy to say that many of my brides have become good friends and I still connect with them long after the wedding day! I think the biggest challenge I’ve faced was not asking enough questions in the initial consultation, so I would spend too much time trying to figure out where a design was going. I’ve since learned to ask lots and lots of questions, so I really get to know each couple I work with. Successes – it’s going to sound cheesy, but every single order I send out I consider a success! When a couple signs off on the final proof, I know I’ve helped them design something they absolutely love. It’s exactly the reason I do what I do! OSDIM- What are your favorite projects to work on? I love contributing to styled shoots. It allows my creativity to go wild and sometimes forces me to think out of the box. I recently worked on a peach themed shoot and I made the rsvp card in the shape of a peach – it was so fun and photographed fabulously! OSDIM- What can we look forward to from ETP in the future? I love where I am right now and I’m honored to be a small part of each client’s big day. I’m excited to see where the Lord takes me with my business and with him, there’s no guessing my future! 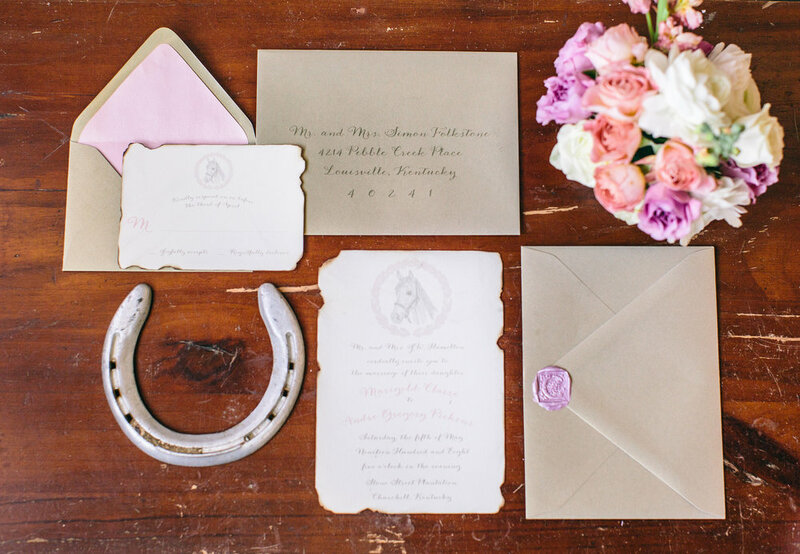 More blush, more romance and plenty of pretty! Many thanks to Chloe for being a part of the One Sweet Spotlight! !